Cards for prophecy wtf is going on? You think you're important. but you're not..
Ayyyye yall did it! THX <3 Can't wait for the convention also. Many a <3 to you GGG You made my day! Very satisfying! So, there's a new unique museum map coming, eh? 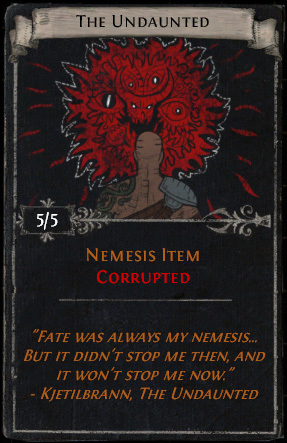 Dear GGG, im realy cant understand why you making Boss specific items Divination cards? In any league you have acces to Shaper, Elder and Uber Atziri.